Are you ready to take on a new challenge this year? 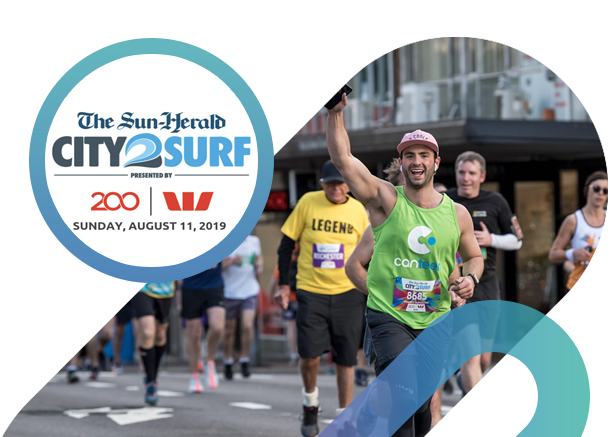 Well get ready, because it’s time to take to the streets of Sydney for the 2019 Sun-Herald City2Surf! Join Team Canteen on Sunday 11th August and race to the finish line to help young Aussies when cancer comes crashing into their world. This iconic race is not to be missed – challenge yourself this year to take on the 14km dash from the city to the beautiful surf of Bondi Beach whilst enjoying the party atmosphere and cheers from spectators as you go.